Please be sure to have your submission (including first 5,000 words, synopsis, and score sheet as a single Word document) ready to upload before you start the registration process. This award is designed exclusively for the unpublished writer of women's fiction. It offers the chance for priceless feedback from three published and/or agented authors, plus the opportunity to break out of the slush pile and land on the desk of five final round judges, all acquiring agents of women's fiction. The RISING STAR Award for unpublished manuscripts has NO categories. It’s open to all unagented writers who have never been published in the book-length women's fiction* of 60k words or more. *Not sure if your manuscript is eligible? See Guidelines below. The RISING STAR Award is limited to the first 75 entries. Detailed score sheets with comments will be provided to all entrants, and the top five (5) finalists will advance to the final round with an opportunity to update entries based on first round judges’ score sheets. Edited Finalist Entries Due: July 30, 2017 (11:59 p.m. E.T. Entrants will submit their entry in the registration process on the WFWA website. A single .doc or .docs file including: (a) the first 5000 words of your completed manuscript (60k words or more), (b) a single-spaced synopsis of 700 words or less, and (c) the Rising Star score sheet found here. *to be used in press release in the event of the entry ranking as a finalist or placing in the top three. Open to all unagented writers who have never been published in book-length women's fiction (60k words or over). All work must be the writer’s original work that has not been contracted for publication prior to the entry deadline. Failure to comply with any of the rules may disqualify the entry, resulting in a forfeit of the entry fee. I have an excerpt of the manuscript on my website. Does that still count as “unpublished”? For the purposes of the RISING STAR Award, ‘unpublished’ means that the novel has never been published in any way and that it does not come under contract for publication by the entry deadline. If an excerpt of the novel appears on the author’s website, it may still be considered ‘unpublished’ subject to the conditions that (1) the excerpt is the only text that exists for public viewing, (2) the excerpt is not available for purchase, and (3) the number of words posted does not exceed 15% of the novel’s total word count. How do I determine if my manuscript conforms to the WFWA women’s fiction definition? The driving force of women's fiction is the protagonist's journey toward a more fulfilled self. It may include romance, or it may not. It could be contemporary or historical and have magical, mystery, thriller, or other elements. The driving force of a romance novel is a love story, a mystery's is the exposure of an event, a thriller's is a fear-inducing chase or escape, etc., whereas women's fiction, as defined by WFWA, is driven by the main character’s emotional journey. If your manuscript's driving force best fits another genre, such as romance, science fiction, thriller, etc. it is not eligible for the RISING STAR Award. The body of each document must be double-spaced (25-26 lines per page), with one inch margins, indented paragraphs, 12 point professional font – Times New Roman or Courier are acceptable. Chapters begin one third of the way down the page. An entry is the first 5,000 consecutive words, beginning with page one of your manuscript. The manuscript title and page numbers must appear in the headers on every page of the entry. No other personal identifying information (such as name, address, e-mail, or phone number) may be included on the entry. An entry will be disqualified and the entry fee forfeited if an entrant fails to meet any of the eligibility or formatting requirements. The RISING STAR Award accepts electronic entries only. Self-published authors are published authors. Consider competing for the STAR Award! If I’m published in science fiction, romance, poetry, a magazine, a blog, or another genre, I can enter? Yes, as long as the manuscript you are submitting clearly falls under the umbrella of women's fiction and you have not previously been published or contracted for publication in the category of women's fiction. What if I sign with a literary agent for representation after entry but before finalists are announced? Congratulations. Please share your good news with [email protected] within seven days. You will still receive score sheets with the judges' feedback. If, however, your manuscript would have entered the final round, it will be disqualified to allow for the next highest-ranking entry (i.e., a manuscript still in need of representation). What if my manuscript is contracted for publication after entry but before finalists are announced? Judges - I have agent representation for my women's fiction, but I am on editorial submission or my work has a future publishing date. Can I be a judge in the RISING STAR Award? Absolutely. Thank you for your participation. May I submit the same manuscript that I submitted last year? Manuscript entries that were top five RISING STAR finalists in a previous year may not be submitted again for consideration. Entries that did not final or place are welcome to be resubmitted once in each of two consecutive years. 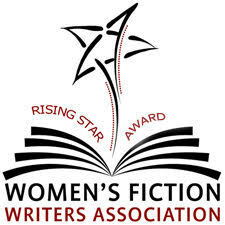 In order to maximize the value of RISING STAR Award to its entrants, WFWA encourages repeat entries undergo substantial revision before they are re-submitted. No entry may be submitted more than two times or in two nonconsecutive years. This is to ensure that every entry is assigned to judges who have not theretofore judged the entry. For security reasons, our records are limited to two years of safekeeping. May I enter more than one manuscript? No. One entry per year per entrant. I haven’t included a cover sheet and my name isn’t in the header so I’m okay, right? You’ll need to check the Properties of your document. In Word, go to the File menu and click on Properties. Delete any personal information. You can have the manuscript title, but not your name or pen name or other identifying information. How long should my pitch be? What should it include? [Title] by [Author] is about a woman who, in lieu of a suicide note, leaves behind a freshly-baked pie and a journal. Police Constable Iris Weild must separate fact from fiction as she reads the story of the woman’s sacrifice for her husband’s eventual happiness, and of her love affair with a man no one in town has ever seen. [Author] writes about the not-so-subtle sexist world of Silicon Valley. In [Title] a venture capitalist faces her husband’s mistress across the negotiating table. She must learn to work with her or jeopardize both their careers. [Title] by [Author] is about Kat Jamison who escapes to the rugged Blue Ridge Mountains to avoid her daughter, doctors, and difficult decisions regarding the reality of her grim cancer prognosis. When she and two children are trapped in a raging forest fire, instead of accepting her death, Kat must discover a fire inside herself—a burning will to survive. How much feedback will I get on my entry? Every entry will receive a detailed score sheet from three qualified judges who are encouraged to make additional comments. WFWA cannot, however, guarantee their compliance with this request. How will I be notified if I advance to the finals? The five finalists will be notified via email. WFWA will post the official finalist list to its website and issue a press release to the industry. If I am a finalist, how long will I have to revise my entry for the final round? All finalists will have one week to incorporate revisions based on first round score sheets. All finalists will receive a digital badge and certificate for display within their online presence. The winner will receive an engraved RISING STAR Award trophy. The winner, second, and third placeholders will receive an updated digital badge and certificate to reflect their final ranking. Additional Questions? Contact the RISING STAR Award coordinator at [email protected].